NINJA-K #1 – the whopping 40-page first issue from writer Christos Gage (Netflix’s Daredevil) and artist Tomás Giorello (X-O MANOWAR) is out today. I'm relatively new to the character of Ninjak (Colin King), but figured this would be the time to jump on board. Gage provides a great story, one that I immediately became entrenched in, but it's artwork of Diego Rodriguez's color palette and Giorello's pencils that really grabbed my attention. Giorello's regard to minor details and the way he captures movement blew me away. It appears fluid; A real sense of action. It's like with any good book, when you become a part of the story. You can smell the air, hear the screams and taste the blood. It's an atmosphere unlike anything I've read in recent memory. 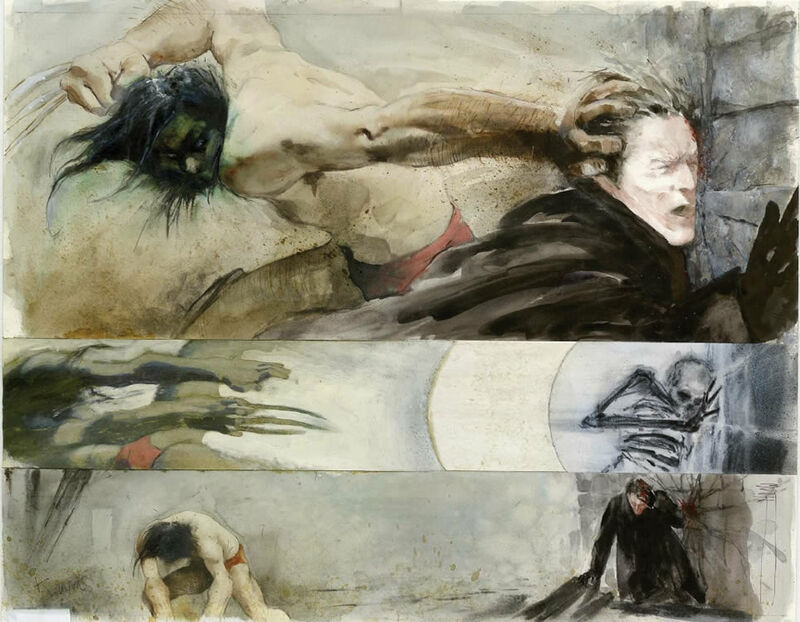 It actually reminded me a lot of Kent Williams' work in Havok & Wolverine: Meltdown, not in terms of appearance, but in terms of creating a palpable atmosphere that is larger than life. Overall I found this first issue to be remarkable. NINJA-K just upped the ante, put all the chips on the table and won the damn game. Other books and companies need to take note, beacuse Valiant just brought a sword to a knife fight.